Over the years I've grown to love binge watching. Whether it's an old show that’s been off the air for years or a new one that I’ve been meaning to check out, it’s so much fun. I dive into a new show, normally with the Huz, and for a month or two that's what we watch whenever we have time. 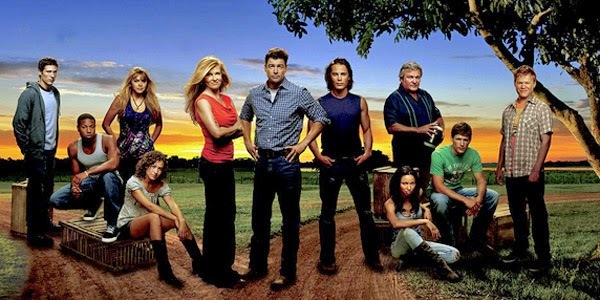 Our latest binge is Friday Night Lights and we just finished it this week. I can't even begin to tell you how much I loved it. I've waited to watch this one for years because I thought it was going to be just about football… and I'm not the biggest sports fan. But it was about so much more than football. Landry, Tami, Matt's grandma, there are so many great characters that I’m going to miss. Sure there are cheesy plot lines and annoying people as well, but overall it was so good! It reminded me why I love being able to sink into a show and lose myself for hours in excellent story writing and character development. Ana wrote a great post on the show at Things Mean A Lot that was one of the reasons I finally decided to give it a shot. House of Cards, Doctor Who, The Bletchley Circle, Game of Thrones, Buffy the Vampire Slayer, Orange Is the New Black, Scandal, Orphan Black, Sons of Anarchy, True Detective, Dollhouse, Bones, Sports Night, Drunk History, Firefly, The Wire, Sopranos, Call the Midwife, and Luther. So, what shows and my missing? What do I still need to binge? I tried Battlestar Galactica, got three seasons in and then Netflix dropped it! I've also got The West Wing, Supernatural, Boardwalk Empire and Damages on my list, but what am I missing? P.S. If I haven't mentioned it before on this blog, I kind a love TV. But only a couple weeks ago we finally pulled the plug and have no cable. We’re currently using Netflix and debating whether we should get Hulu Plus or Amazon Prime too. P.P.S. There a few notable shows that I've never binged like, Mad Men, Breaking Bad, Parks and Rec, Parenthood, Fargo, Gilmore Girls, Walking Dead, Downtown Abbey, and Scrubs, but that's only because I watch the shows from the very beginning and I've loved them all the way through. I love reading books set in my home state, Indiana, but they are few and far between. So I was excited to discover this book, the story of a circus whose home base was in Indiana. The whole book is about the circus, but each chapter features a different star, a different player in the overall company of characters. It begins with the tale of the circus’ owner in 1884 and then winds through the decades. I’ve seen it compared to Sherwood Anderson's Winesburg, Ohio, and that description is spot on. Both books breakdown small-town life and the dark secrets that lie in everyone's past. There are sweet moments, but overall it's about the heartbreak inherent in the human condition. Day draws each character beautifully and you're invested in their story from the first pages. Each person is fragile despite their sometimes tough exteriors. Wallace Porter is a resident of Lima, Ind. and buys the circus from a man named Hollenbach. Porter’s own story is so tragic that it sets the tone for the rest of the book. There’s Jennie Dixianna, who was raised in the Alabama bayou and now performs the “spin of death,” wearing her perpetually bloody wrist as a proud talisman of her both talent and stubbornness. Then we meet the Boela tribe, which includes generations of members. It starts with Bascomb and Pearly, but continues with their son Gordon, his daughter Verna, and her son Chicky who is a dwarf. Even characters that aren’t human, like Caesar the elephant, find a way to pull you in. There are stories set within the circus and others that feature the lives affected by it. There’s the lonely wife of its manager who fills her home with murals of the circus. One family moves to Peru years after the circus has closed, but vestiges of its glamour still seep into their lives. The circus also barely survived a huge flood in 1913, which wiped out many of its performers and animals. The author grew up in Peru, Ind. which was the home of the Hagenbeck-Wallace Circus. It wintered there and many of her family members were involved in it. I was curious how much of the book was inspired or based on true story she might have heard growing up. BOTTOM LINE: Hauntingly beautiful stories about loneliness in so many different forms. 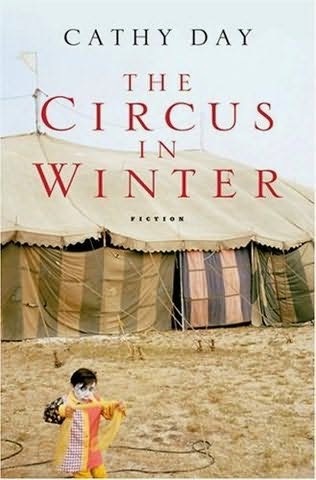 The circus may be the stage for these particular stories, but their resonance and relatability reaches across the years. "The world is made up of hometowns. It's just as hard to leave a block in Brooklyn or a suburb of Chicago as it is to leave a small town in Indiana." I found the One Little Word project over at Entomology of a Bookworm (who found it here at Sophisticated Dorkiness). This is a project that focuses on picking one word to define your year. You can pick anything that might speak to you. Something that is a goal or inspires you. The more I thought about it the more I love the idea. This is the first year in as long as I can remember that I haven't made a list of New Year's resolutions for myself. This goes hand-in-hand with a lot of the changes in my life over the last year. I started a new job last January, which I love but it is also a lot more challenging and time-consuming. This year I struggled a lot with balancing things in my life. Family, friends, work, this blog, my weekly theater reviews, and so much more. I've just felt very overwhelmed with a lot of different things and I'm not used to feeling that way. I tend to like having a lot of things going at once, so this is a bit new to me. 2014 was an incredible adventure. I celebrated my five year wedding anniversary, 30th birthday, took a dream vacation, started a new job… but all of that was a lot. It was all piled on top of everything that happens in a normal year and it was enough to make me lose my breath. In 2015 I want to refocus my energy, not just on the things I have to do but on the things I love to do. I also want to make sure that I'm doing things that I truly want to be doing and not just things that I've been doing for a long time out of obligation, if that makes sense. So my word, the word that just kept coming back to me over and over again is... simplify. What I truly want is to simplify my life. I want to find my balance again and let go of the things that are distracting me from what's really important. I don't know all that might need to change to get myself there, but that's ok. Right now I just want to focus on simplifying things and see where that takes me. If you were to pick one word for your year, what would it be? I heard a lot of mentions of this book before I read it, (though I was able to completely avoid spoilers), but no one told me that it was “A Visit from the Goon Squad” plus the end of the world. Oh my gosh, this book! I literally started the audiobook on a Saturday morning and then couldn't stop cleaning the house because I wanted to have a reason to keep listening to it. Let me repeat that… this book made me clean so I could keep listening, that has never happened before. 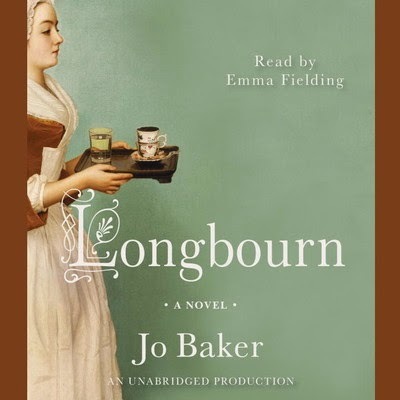 There've been times when stayed in my car for an extra minute to keep listening, but I have NEVER spent an entire day cleaning my house because I wanted to keep listening to the book. That's how good this was! Technically this book is about a post-apocalyptic world. But please do not let that deter you from reading this if that's not your thing. This book really is one of the most well written connected character sketches that I've ever found. It reminded me so much of Egan's book in so many ways. It jumps back-and-forth in time and different chapters are from different characters’ point-of-view. The stories are all connected, woven together to create a big picture view of their world. The book "The Passage", which was such a big hit a couple years ago, is similar in some ways, but it frustrated to me for a couple reasons. My biggest problem with it was that you became invested in a couple characters that pretty much disappeared after a certain point in the story. For a second in this book I thought the author was going to do the same thing. I didn't realize at first that the storytelling was going to be nonlinear. We jumped around in time, getting to know what our characters are like both before and after the "end of the world". I was swept away in the stories at every point in the novel, which is difficult for an author to do when you’re juggling so many characters. Normally you get bored with one story and want to return to a different one. 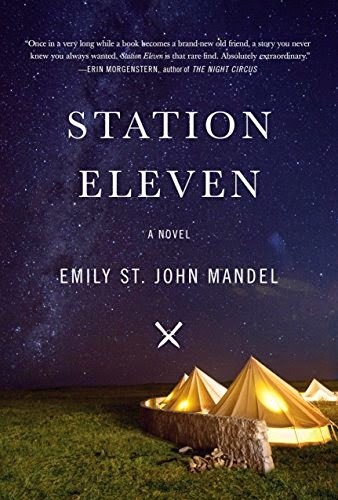 But in Station Eleven, each characters’ tale adds so much depth to the others that you don’t care who you are reading about in a given moment. BOTTOM LINE: Just fantastic, my favorite read of the year so far! If the genre or plot doesn’t sound like your cup of tea, I’d encourage you to check it out anyway. It's one of those books that rises above the basic plot points it contains and becomes something that almost anyone can connect with. It's more about human nature, grief, loneliness, and how we are able to connect with others. It's beautiful and I know I'll be reading it again.